Roger Federer’s loss to Stefanos Tsitsipas in four closely contested sets in the round of sixteen at the Australian Open 2019 is an unequivocal sign of the arrival of this particular NextGen. The loss does not take away from the illustrious career of the great Roger Federer and he remains the GOAT. The men’s side of the tournament so far, however, has been about Tsitsipas ascension into the big league. 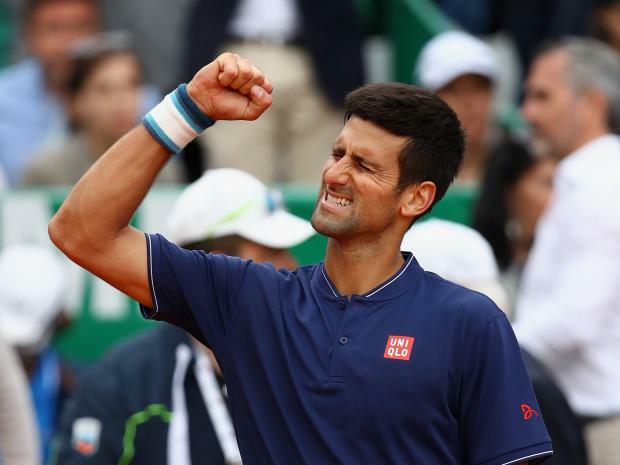 He not only beat the GOAT but also backed that win by taking down, an in form, Bautista Agut who conquered Novak Djokovic in the semifinals of Doha, earlier this month. Can Stefanos Tsitsipas save tennis from the baseline bores? Can the all-court tennis of Stefanos Tsistsipas save tennis from the baseline bores spawned by the success of Novak Djokovic and Rafael Nadal? Tsitsipas has been hailed as an exceptional talent by us in the past. He plays an aggressive brand of all-court tennis with a powerful service and proactive attempts to finish points at the net. His single-handed backhand is quite powerful and the inside-in-and-out forehands truly excellent. His win over Alex De Minaur, a grinder, and retriever, at the NextGen Finals in Milan last year, was a victory of talent and aggression over grinding and retrieving. Tsitsipas is better than Alexander Zverev who has yet to master the way to the net. 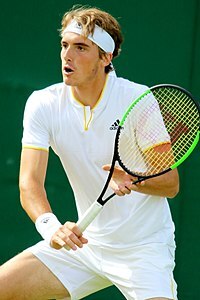 Stefanos Tsitsipas, we believe, seems best equipped to save tennis from the baseline bores, and his attempt, during the on-court interview, to rally tennis fans, around the world, to subscribe to his YouTube channel has us convinced of his ability to salvage all-court tennis while adding subscribers to his YouTube channel! Stefanos Tsitsipas is better than Zverev and plays as aggressive as Federer. Stefanos Tsitsipas has displayed controlled aggression reminiscent of Roger Federer. Alexander Zverev may hit the ball harder, but his game does not qualify as aggressive. Belting winners, from behind the baseline line is not aggressive tennis. Taking the ball early and on the rise, while creating an opportunity to move inside the baseline and towards the net by the fourth or the fifth shot, however, qualifies for aggressive tennis. The kind of tennis that Roger Federer can play when at his best. Alexander Zverev, on the other hand, is still stuck five feet behind the baseline and looses all those wonderful finishing opportunities which he creates for himself because of the sheer power and weight of his shots. The single-handed backhand can be a WMD when wielded by the immensely talented. We believe, Stefano’s single-handed backhand will be a WMD down the road. The dependence on the non-dominant foot hinders the development of the backhand into a weapon as powerful as the forehand. Therefore, except Stan Wawrinka’s, for its sheer power, no other backhand can be classified as a weapon. Stefanos, we believe, may also manage to hone his backhand into a WMD over the next few years. The single-handed backhand is a weapon when wielded by the exceptionally talented and Stefanos’ is already better than Roger’s was at 20. Tsitsipas’ game is better rounded and more aggressive than Novak’s. We believe, Stefanos has the game and the aggression to save us from the sea of baseline grinders but only if he wins a slam soon. 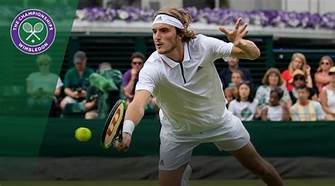 We have been on the Tsitsipas bandwagon ever since his performance at the Canadian Masters 1000 in August 2018, where he unraveled Dominic Thiem, Novak Djokovic, Alexander Zverev, and Kevin Anderson with his all-court aggression. At that point, 138mph even rated Tsitsipas’ game better rounded and more aggressive than Novak Djokovic’s. Can Tsitsipas beat Federer, Nadal, and Djokovic en route to a slam-title? Beating Federer, Nadal, and Djokovic back-to-back in a five-set format is a tall order. Can Tsitsipas pull that miracle off? His toughest challenge would be to counter Nadal’s high-rising forehand shots to his backhand side. We believe he hits harder and serves better than both Nadal and Djokovic but is too young and inexperienced to have the tactical acumen and mental strength to beat Nadal in the semis and then Novak in the final. Is Stefanos Tsitsipas ready to be a Slam champion? Upon Tsitsipas first tournament win, 138mph was bold enough to predict multi-slams and the number one rank, within five years, for him. We knew back then that not only would Stefanos be a multiple slam winner but also make up for the abject lack of all-court tennis upon the Maestro’s departure. We had always known that Stefanos could play with controlled aggression but weren’t sure of his abilities to play with controlled aggression one match after another for seven matches in a row. In September 2018 we predicted that Stefanos would take a little more time to mature into a champion and, even after his recent trouncing of Roger, we believe he is about a year away from becoming a Slam champion. He, however, is welcome to prove us wrong by taking down Rafael Nadal and Novak Djokovic, or whoever he faces, in the semis and final.